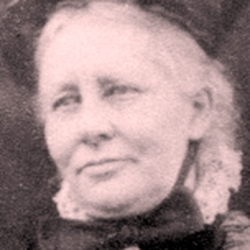 The site for our Church was given in 1908 by Miss Frances Elizabeth Ellis (1846-1930) a great benefactress of the Diocese who provided the many “Ellis Churches” at the beginning of the 20th century. During the Second World War a public Air-raid Shelter stood on this site. Under Canon Thomas Clifton at St. Boniface, Tooting, a wooden Church replaced the Scout Hut in which Mass was celebrated and a new Parish was formed. The wooden structure was severely damaged in the Hurricane of 1987 and the Foundation Stone of the new Church was laid during the Marian Year which ended in 1988. It was during this period, about a mile and a half away, a new Supermarket was under construction, and the excavations for the foundations revealed more and more of the 12th Century Augustinian Merton Priory. Providentially, therefore, the stonework in the new Church was created by two parishioners - Mr James Rudden and Mr Thomas Hennigan using the stone from the Priory. The Altar contains a Relic of St Thomas of Canterbury who was educated at Merton Priory around 1128. The importance of this Monastery, which was the third most notable in the land, is illustrated by the events which took place there and included the Peace Conference between Henry III and Louis, Dauphin of France in 1217: the Coronation of Queen Eleanor in 1236 and Henry VI in 1437. Walter de Merton, Bishop of Rochester and founder of Merton College, Oxford, was educated there. Henry VIII in 1538 dissolved the Priory and from its stone the Nonsuch Palace was built. The site of the archeological work carried out by the Museum of London is now completely covered but the remains of the Chapter House have been preserved by the Museum under the road. The other Relic in the Altar is from the body of the Martyred Priest, St. John Southworth which lies in Westminister Cathedral. He was born and worked in London and was martyred at Tyburn in 1654. On the stone cross on the front of the Altar can still be seen the 12th Century Mason’s mark. In front of Our Lady’s statue is a section of Purbeck marble pillar which came from either the Priory Church or the Chapter House. The new Church was completed for the Year of the Eucharist, which ended in 2005. Former parishioner, Mr Ernesto Singh produced the Commemoration Stone. The rays emanating from the Sacred Host and the Chalice are from 12th Century flint stones carefully splintered and arranged by Mr James Rudden. The Sacred Host is in Thassos White Marble from Greece. The Chalice is in Limestone (called Antique Gold) from Jerusalem. The stone itself is Black Granite from India.